Worker safety is not just a matter of accountability—it must be part of a company’s culture. Each day, millions of machines—presses, conveyors, drills, machine tools saws…— are used for industrial and manufacturing purposes. These machines have dangerous areas and moving parts that can injure, mutilate and even kill workers who have access to them. This is why it is important to take action and establish a machine safety action plan. Since 2006, CNESST inspectors have taken a zero-tolerance approach. If there are accessible mobile parts, the employer must immediately fix the problem and can be fined for failing to do so. The CNESST is taking an increasingly hard line on safety issues, with interventions focused on ensuring that dangerous machines are modified. To secure your machines, our qualified team will identify safety issues, assess risks, take the necessary corrective actions and design and implement the right protective measures. A protective device must be user friendly and must not interfere with the operator’s work. According to Section 217.1 of the Act, “Every one who undertakes, or has the authority, to direct how another person does work or performs a task is under a legal duty to take reasonable steps to prevent bodily harm to that person, or any other person, arising from that work or task.” This provision stipulates that the blame for criminal negligence can be placed squarely on the shoulders of people in positions of authority. Looking to make special equipment safe, even equipment you thought was a lost cause? Renfort has a tailored solution for you! 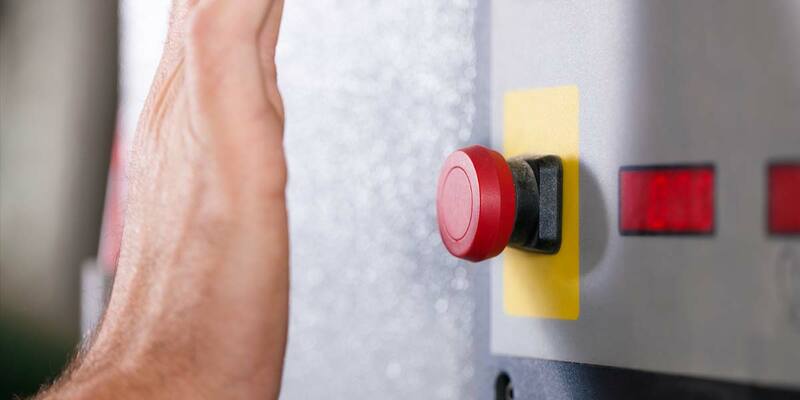 As your partner in machine safety, we offer turnkey solutions that are adapted to your needs. We draw upon our expertise to build an optimal safety plan using our own line of top-notch products, which we offer at very competitive rates. Need machine safety experts? From design to production, to installation and integration, Renfort will be your partner!